Fentanyl is a potent analgesic painkiller of the opioid variety. It works fast and in small amounts, being 50 times more potent than pure, pharmacy-grade heroin. It’s used as a medication to treat acute or chronic pain, its unmatched strength being particularly useful for the sudden and incredibly intense pain that can be experienced by cancer patients. It can also be used as a general anesthetic. As an opioid, fentanyl can create a euphoric high if abused. Its potency also makes it incredibly dangerous if used improperly. The medication is considered to be safe if administered in a hospital by a medical professional or if taken as directed after being prescribed to a patient, but illegal use has led to many deaths. Illegal drug dealers can easily measure the intoxicant incorrectly, resulting in batches of the drug that produce a rash of overdose cases. Because it works so well, dealers will often cut heroin with fentanyl to make a weak batch of the common street drug that creates a more intense high and therefore seems like a more ideal product. Unfortunately, mixing opioids like this makes overdose much more likely. Street names for fentanyl or for fentanyl-laced heroin include China girl, China white, goodfella, dance fever, murder 8, jackpot, tango and cash, and TNT. Illegally manufactured forms of the drug often come in tablets, powder, or spiked onto blotter paper. Fentanyl acts much like any other opioid, depressing the central nervous system and stimulating the opioid receptors in the brain to create feelings of pleasure, peace, and relaxation. By becoming familiar with the effects of this drug, you can more easily spot its abuse. At high doses, drowsiness may reach the point that users frequently nod off and wake up, possibly without realizing they were asleep for a short period. Central nervous system depression means that breathing, heart rate, and the gastrointestinal system slow down, resulting in chronic constipation for frequent users. Respiratory depression makes overdose particularly dangerous, as breathing can slow to the point that not enough oxygen can reach the brain. Due to fentanyl’s extreme potency and its increasing availability as an illicit street drug, cities across the US have been releasing alerts about spikes in overdose cases. In 2016, the state of Ohio found that over one-third of its 3,050 cases of overdose death involved fentantyl, despite its use still being relatively uncommon. Signs of an overdose after taking fentanyl should be considered a medical emergency. Swift intervention is needed to get the victim breathing again and prevent brain damage or death. Fentanyl abuse can also quickly lead to addiction. All opioids are considered to be highly addictive drugs, and despite the fact that it’s used in hospitals, fentanyl addiction is just as dangerous as addiction to heroin. Signs that fentanyl abuse is turning into addiction should be cause to contact an addiction specialist. The sooner a person in trouble receives treatment, the easier the healing process will be. Fentanyl abuse is a serious problem, whether it is accidental or not. People who abuse fentanyl are typically struggling with an existing opioid addiction to OxyContin, heroin, or a similar drug. Their bodies have built up a tolerance to these potent narcotics, so people have started to seek out fentanyl to achieve an intense, long-lasting high. However, because fentanyl is so much more potent than heroin or morphine, this is extremely dangerous. Fentanyl abuse can lead to overdose, even among people who are tolerant to other opioid drugs. How Can Naloxone Treat a Fentanyl Overdose? Naloxone has been approved in several forms by the Food and Drug Administration (FDA) to reduce the harm caused by the opioid epidemic in the US. As fentanyl abuse spreads further, caregivers and family members of people struggling with opioid addiction are beginning to keep naloxone on hand with a doctor’s permission. Previously, naloxone use was limited to emergency room doctors and some emergency responders. The drug has the incredible ability to kick opioids off the opioid receptors for a brief period of time; this temporarily stops the overdose and hopefully provides enough time for medical treatment. However, naloxone does not stop overdoses altogether, and it should never be used as the only treatment during an opioid overdose. The wider availability of naloxone has saved many lives, but the Centers for Disease Control and Prevention (CDC) found that higher doses, or multiple doses, of naloxone may be necessary to reverse an overdose. Is There Any Way to Tell What’s in Heroin? Part of the problem with fentanyl overdoses is that many people who experience this event actually purchased heroin. Sometimes, people intentionally buy heroin laced with fentanyl to get a more intense high; however, most people did not know about fentanyl lacing heroin, so they were not able to dose properly. Either way, adding fentanyl to heroin can cause a deadly overdose. Fentanyl has been found lacing heroin, cocaine, and MDMA; masquerading as prescription OxyContin for illicit purchase; and cut into nearly any other drug on the black market. One could simply assume that fentanyl will be placed into virtually any street drug. Canada is suffering a fentanyl crisis, much like the US, and Vancouver, BC, has been the epicenter of many overdoses and related deaths. To help prevent accidental fentanyl overdoses, the city began offering test strips in 2016 to help people struggling with heroin addiction to understand what is in the drugs they purchase. Canada has a much larger program of supervised injection facilities compared to the US, so this plan is much more feasible there. Otherwise, there is no way to tell if heroin has been laced with anything, including fentanyl, as long as the mixture is a whitish powder. The best way to prevent an overdose on fentanyl or any other opioid is to get help overcoming the addiction through a rehabilitation program. What Does a Comedown off Fentanyl Look Like? Comedown symptoms may be uncomfortable, but they are not fatal. However, the experience may lead people to take another dose of fentanyl, which may cause an overdose. What Are the Signs of Fentanyl Withdrawal? Why Do People Abuse Fentanyl? As a prescription narcotic, fentanyl is only given to people with severe, chronic pain who have developed tolerance to other opioids. It is unlikely that fentanyl is the “gateway drug” for anyone who struggles with opioid addiction. 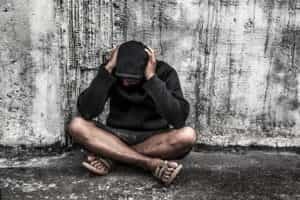 However, for many people who struggle with opioid addiction, heroin becomes cheaper and easier to acquire than illicit prescription drugs, but they may develop a tolerance to this illicit narcotic very quickly. Once tolerance sets in, finding another, more potent opioid becomes harder, which is the appeal of fentanyl for many struggling with addiction. People abuse fentanyl because they are searching for the same degree of euphoria felt with their original dose of narcotic.